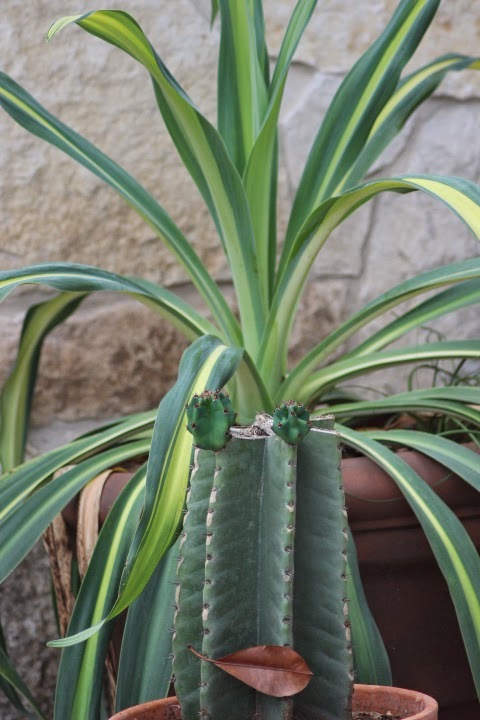 June has been great for growing here in San Antonio, with cloudy days, relatively cool temperatures, and almost daily predictions of rain that ensure new plants and transplants have a fighting chance. That's unusual for here, and has allowed continued planting and transplanting later than normal. It's been good to have plenty of rain for a change after almost none all winter. 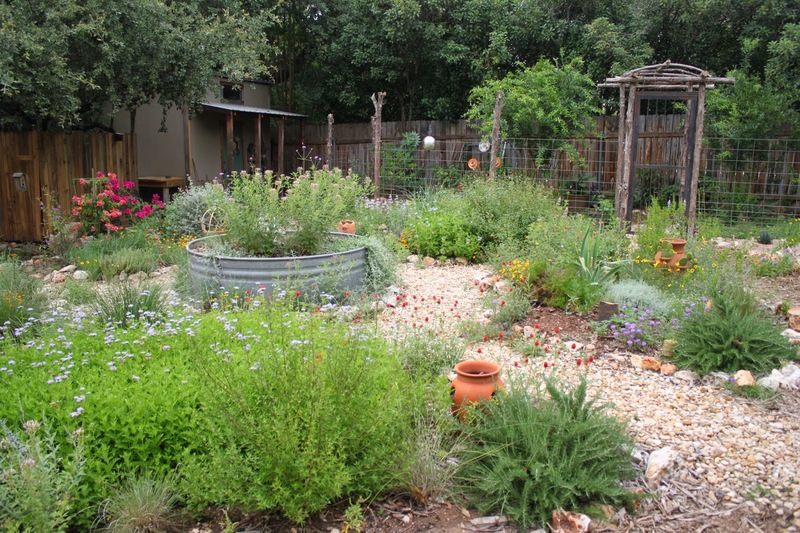 In this post I'm joining Helen at The Patient Gardener for the End of Month View of my garden for June 2014 to look at the progress. 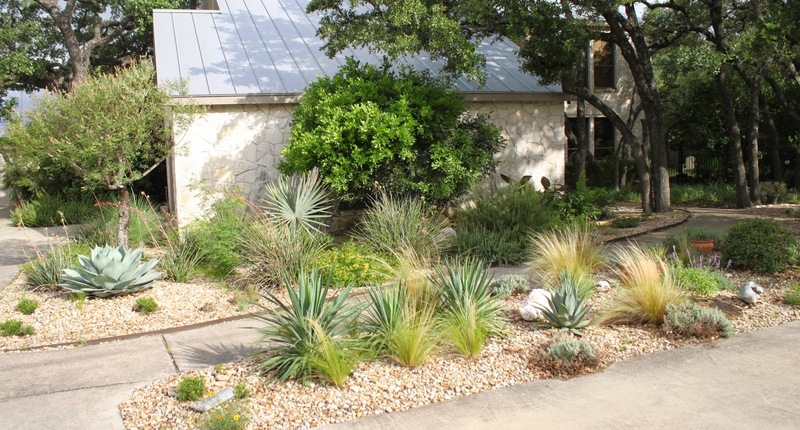 Summer begins in the front garden with most of the blooms taking a rest while the silvery agaves and yuccas take center stage. The Bismarck Palm which took a big hit this past winter is recovering and producing new fronds again. Sometimes it's easy to pick a favorite and sometimes not. Choosing my favorite color for some reason has always been pretty easy. While I like all the colors my favorite has been purple for as long as I can remember. 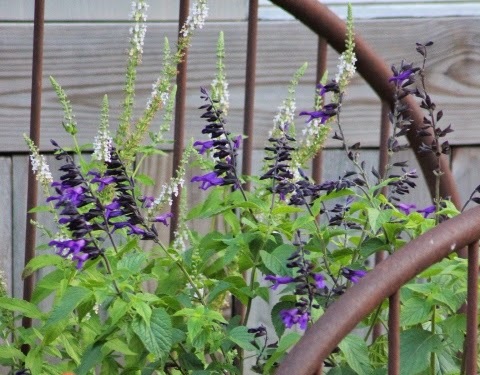 That's why I took notice when Salvia 'Amistad' began appearing in gardening blogs and online gardening articles about two years ago. It's also why I chose it for my favorite plant this week and am joining Loree at Danger Garden in posting on my favorite plant... this week. 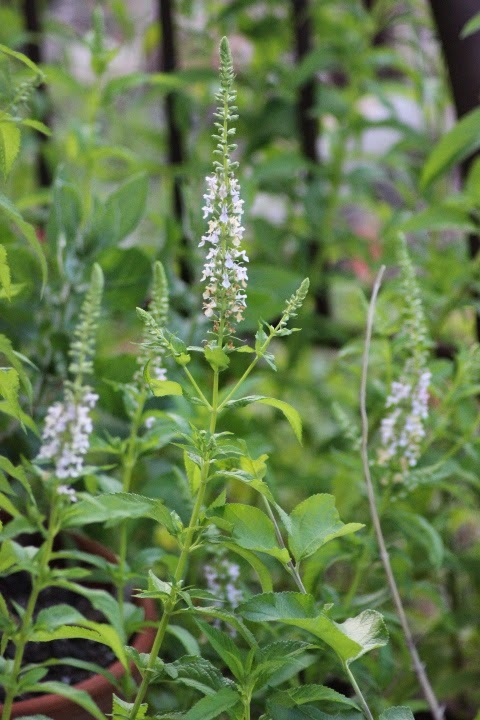 A photo of Teucrium canadense in my Garden Blogger's Bloom Day post last week generated some comments about the plant so I'm featuring Canada or American Germander for Wildflower Wednesday. 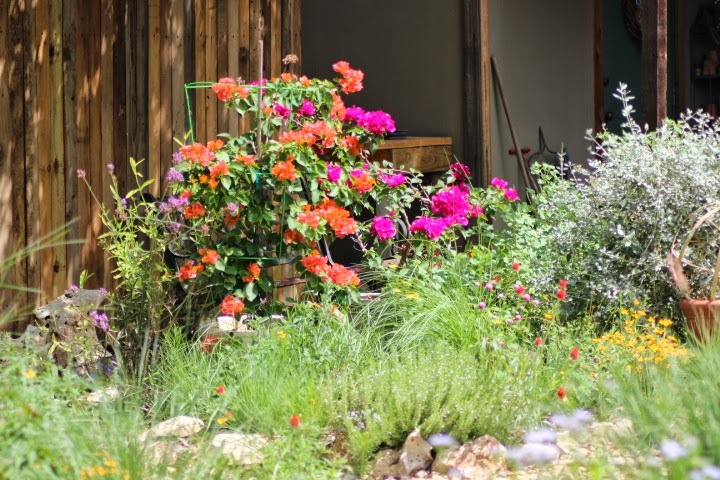 The fourth Wednesday of each month Gail at Clay and Limestone invites garden bloggers to join her with a post on flowering native plants in our gardens. Most mornings I head out into the garden with my tea to check out this view just off the back deck. What greets me is still a surprise. It's Foliage Follow-Up day and time for garden bloggers to join Pam at Digging to show off foliage in our gardens. The best way to celebrate foliage in my garden for June is to show off the crevice garden progress update. 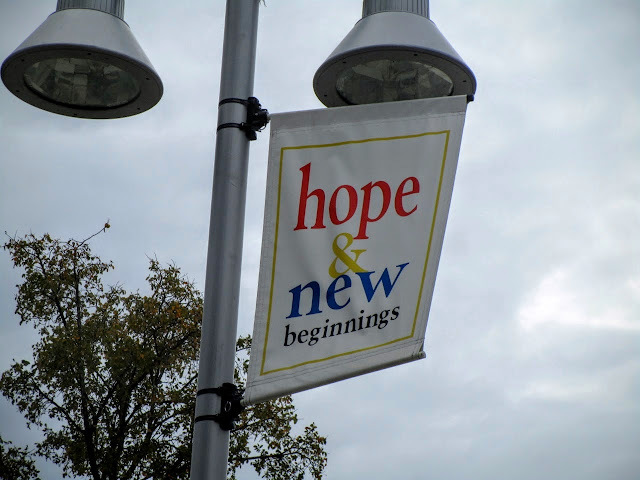 It's the 15th of June and time join Carol of May Dreams Gardens and many other garden bloggers to show what's blooming in the garden as we head into summer. 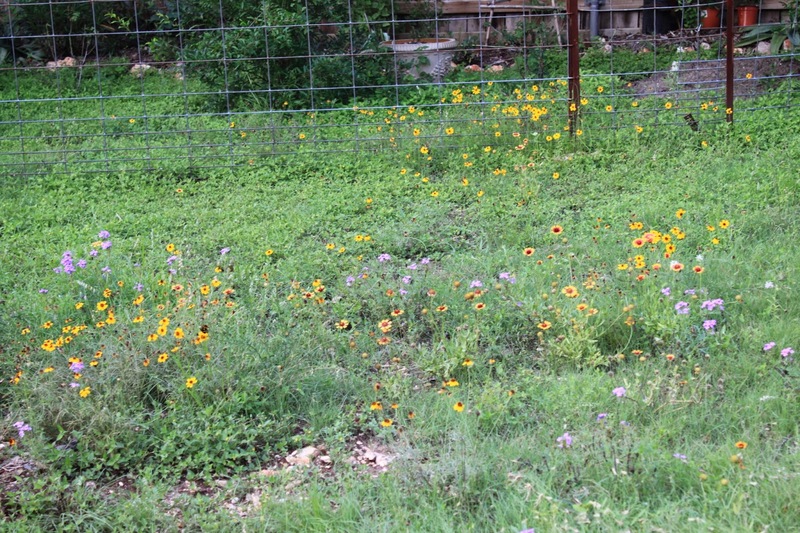 We've had some much needed rain here in San Antonio recently which has treated us to plenty of blooms. Bougainvillea adds bright color to the circle garden with very early blooms this year. 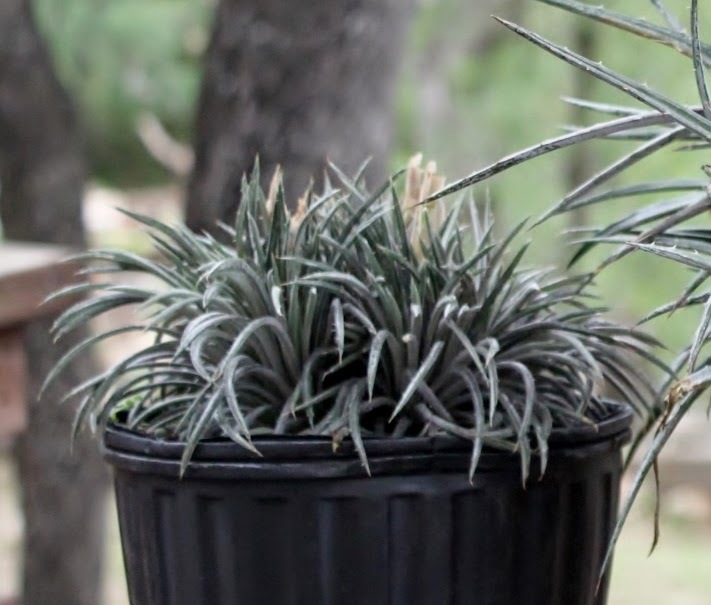 The title of this post is supposed to be "My Favorite Plant in the Garden, this week" as hosted by Loree over at Danger Garden where she shares a favorite plant each week and invites other bloggers to post theirs. Just take a look at Dyckia choristaminea 'Frazzle Dazzle' and it's easy to see why I decided to have a little fun and change things up just a bit while joining in for the first time with this little cutie. It's not even actually in the garden yet while I consider all the planting options and I just like seeing close to the house. Wordless Wednesday: Take us to your leader! It's getting hot out there now and with work in the garden slowing down it's time for an update on recent projects. The first is in the back yard near the circle garden. 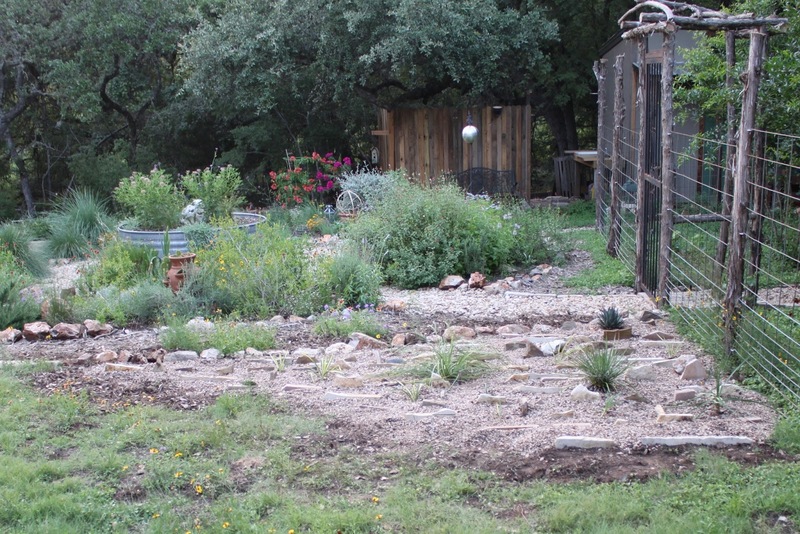 Last year this sloped area next to the fence sported a patch of weedy groundcover surrounded by wildflowers. Not the best, but we had other fish to fry back then.